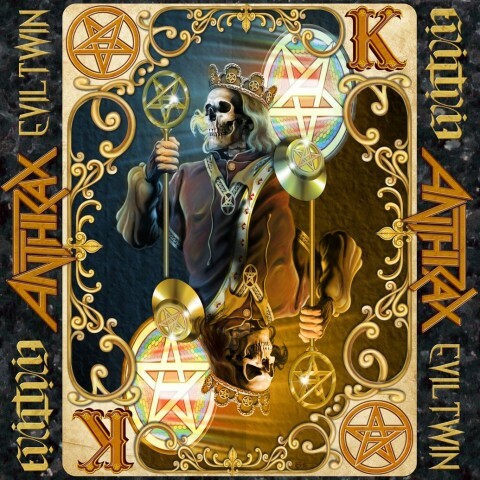 ​Anthrax criticize extremism in new lyric video "Evil Twin"
The American thrash metal band Anthrax released the lyric video "Evil Twin", "a compelling barrage of places, victims, actions, and some of the infamous zealots and others who have perpetrated violent extremism on innocents around the world, aptly exemplifying the song's powerful message". "Evil Twin" will appear on the band’s new eleventh album, which is scheduled for release at the first quarter of 2016. The record was announced earlier this year. On October 25, Anthrax goes on the European tour with Slayer and Kvelertak. Anthrax present the song "Soror Irrumator" for "Game of Thrones"
Lethal cameo: Anthrax's guitarist appeares again in "The Walking Dead"